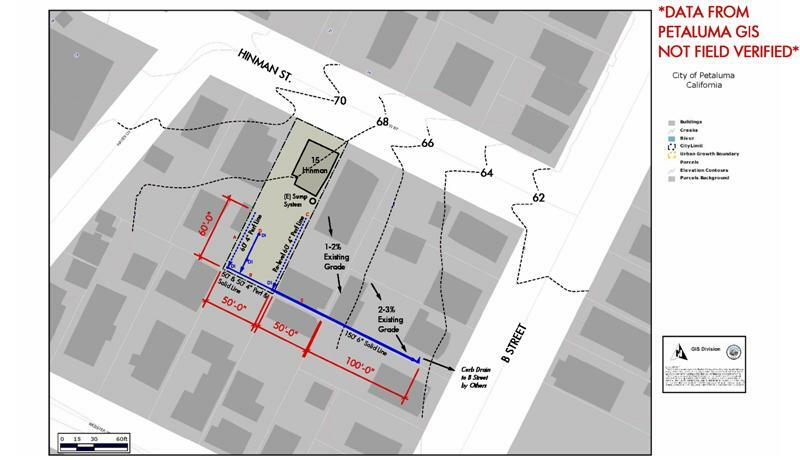 Here is a drainage plan for a project we are bidding on in Petaluma. We used the great information at Petaluma GIS. The GIS interface is an online digital mapping application for the whole city of Petaluma that shows building locations, parcel boundaries and contours. This type of information is very helpful for projects like this when we are trying to estimate larger distances or distances across one or multiple parcels. Previous PostMore on Living RoofsNext PostBay Friendly- Apologizing to the Bay!